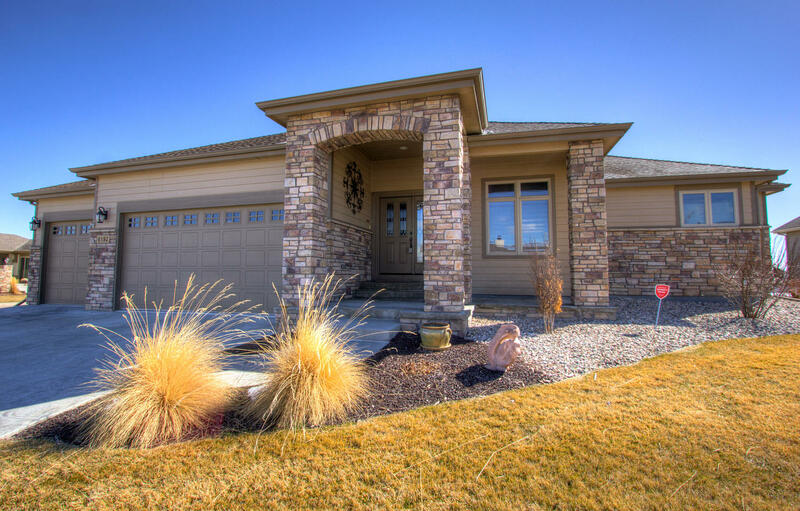 Enjoy the best in comfort and peace in this perfectly appointed and customized Highland Meadows Patio Home! Better than New! 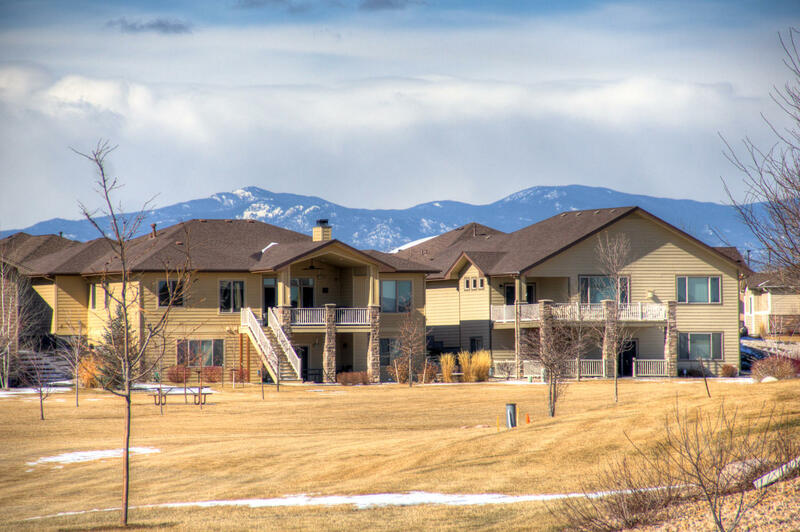 – Low Maintenance Living - With sparkling Mountain Views/Open Space in front and wide open views to southeast Open Space behind, the abundant, convenient outdoor living is ideally featured! 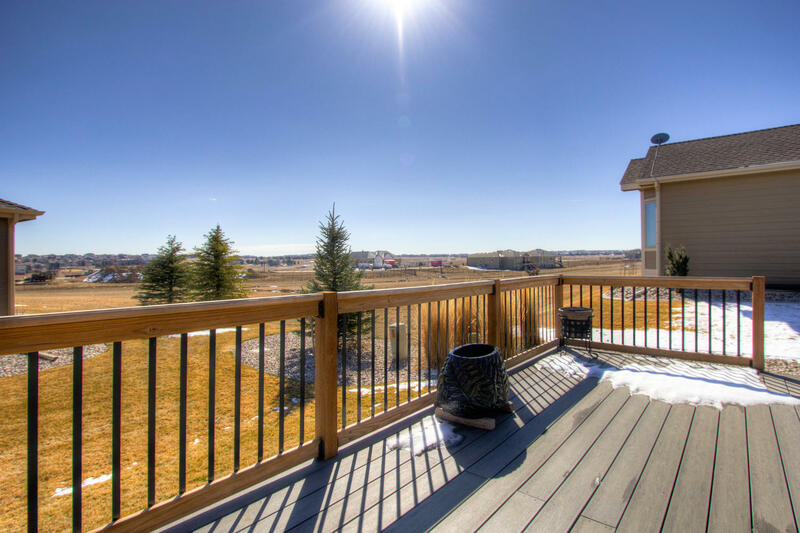 Lightly lived in with easy flow living on one floor this expansive ranch at 3,689 total square feet, and 2,290 square feet finished with 3 Spacious bedrooms, 3 Bathrooms and a massive oversized 3 car garage is sure to please the most discerning of tastes! *Before cooking your favorite meal outside, enjoy the open spacious gourmet kitchen for the perfect pairing of hors d'oeuvres and cocktails, convenient expansive center island and all upper end kitcxhe appliances (5 burner gas range, double wall ovens, French door refrigerator.) Featuring 42 inch alder cabinetry with rippled glass inserts, soft close doors, full extension drawers and crown moulding! Soft sweeping Quartz countertops and full height backsplash, under cabinetry lighting – just some of the many features that grace this lovely ranch! Cozy up to the graceful travertine gas fireplace in the great room, with convenient shiny hardwood flooring throughout! Spacious secondary bedrooms, and a private master suite with a 5 piece master bath, beautiful tile work throughout and the master has its own separate entrance to the patio - Massive walk-in closet in the master wing, and tray ceiling in the sleeping quarters. Stately curb appeal on the outside with 9ft basement walls and a ¾ plumbing rough-in for further expansive creativity – Active Radon Mitigation, High Efficiency Lennox furnace, 50 gallon H2O heater. Customized Top Down and Bottom Up blinds throughout to let in all the beautiful outdoor light Through spacious picture windows. Upgraded carpet throughout and Ample Storage! your fingertips! Within walking distance to the pool, clubhouse, tennis and amenities! irrigation, sprinkler and drip line maintenance, management and open space maintenance!